I was searching around Pinterest this morning for an easy and quick appetizer recipe. Interestingly enough, I started to change my mind. Too many options or too time consuming. I wanted something different for a potluck party this weekend. Finally, I found something intriguing and delicious: Apricot bites! Sounds delicious, right? Roll the goat cheese into a small balls. 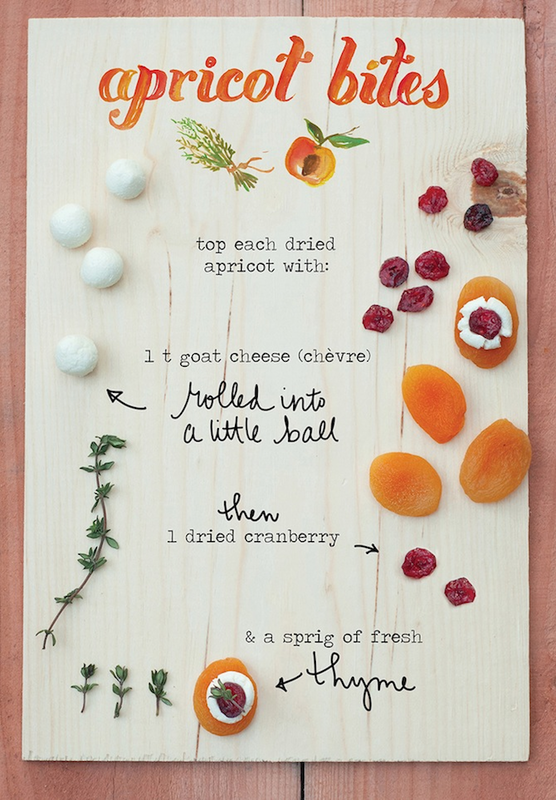 Top the apricot with the goat cheese. Add the final touches of one cranberry and a sprig of fresh thyme. Enjoy!